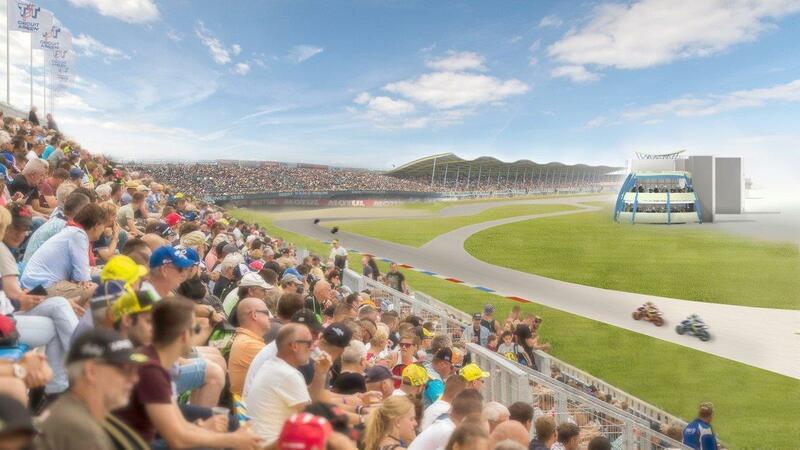 The home of the Dutch TT will see a radical expansion of its grandstand seating in the future, as the TT Circuit Assen expands the final corner’s seats to create what should be one of the best viewing areas in racing. The new seats will extend back from the current grandstand at the dramatic Geert-Timmer chicane, with the new and improved Winterdijk viewing area having a total length of 308 metres and at 13 metres in height it’ll seat 9100 avid spectators. The work comes as part of Assen’s €16 million of improvements works, backed up by a ten-year contract to host the MotoGP world championship signed last year.